A feminine coat by Hugo Boss, styled with a distinctive collar that can be closed to cover the neck for warmth. 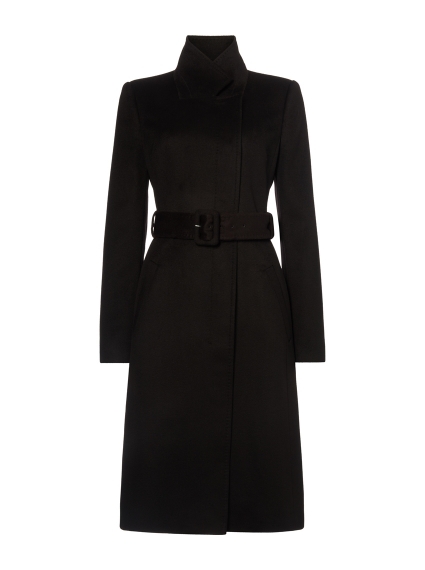 Cut to a regular fit with a buckle-closure belt to accentuate the waist, this chic coat is crafted from Italian virgin wool with zibelline finishing: a premium treatment that involves hand-combing the fabric to achieve an exquisitely soft feel. Wear this luxurious coat over both business and off-duty ensembles for a dose of signature BOSS elegance.